Maltese Terrier dog with tiny container of Easter Eggs. 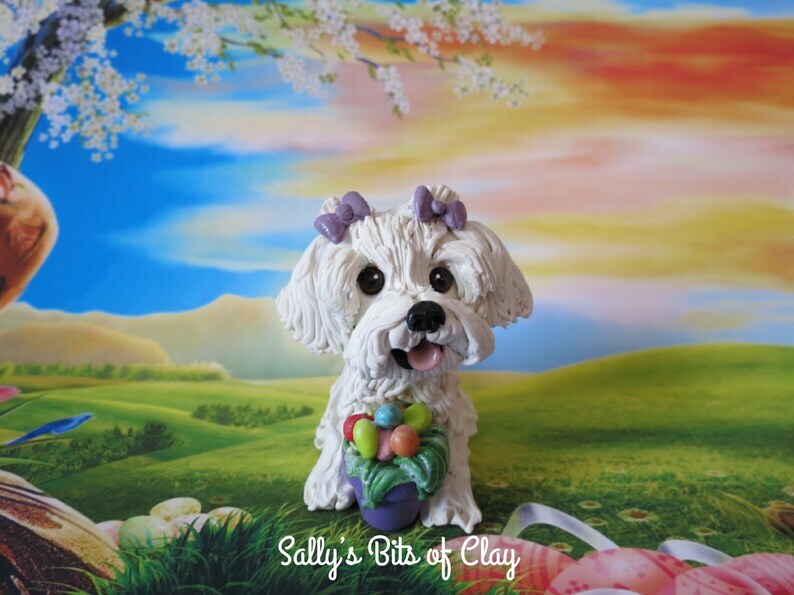 I hand sculpted the whimsical Maltese with high quality polymer clay. Some details are hand painted. The little container is wood and I have painted it a lovely lavender color and filled it with clay grass and Easter Eggs. This One of a Kind sculpture is heirloom quality and meant to last a lifetime.